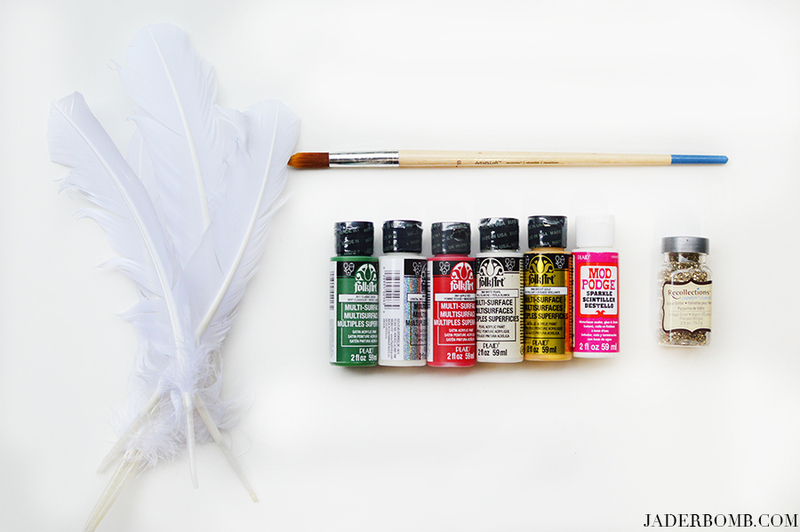 This post is brought to you by *Plaid Crafts – Mod Podge Pearl & FolkArt Multi-Surface Paint and Blueprint Social. The opinions are my own. I seriously die for Christmas. I look forward to it all year long and I am not sure if it’s because of the all the DIY’S I create or just because it’s the one time of the year I can relate to my childhood. I had a great childhood especially around Christmas time. My mother was always baking goodies and her decor was to die for, literally. She always went all out and I believe that is why I love decorating so much. So thanks mom if you are reading this! 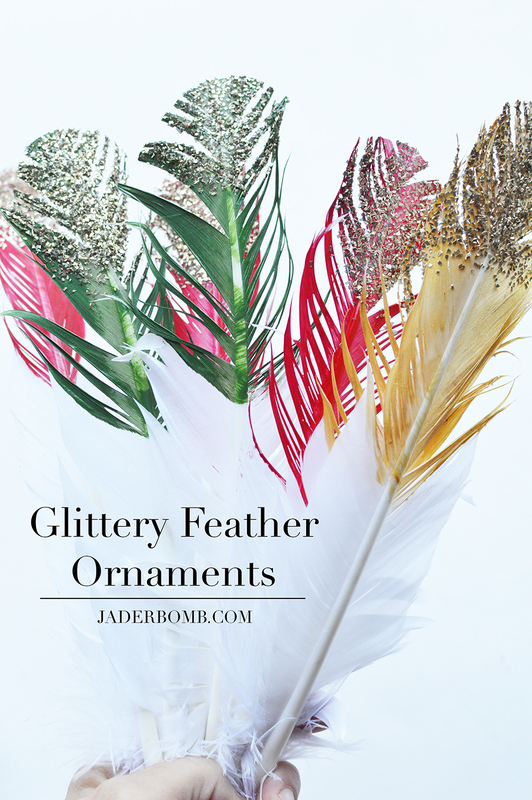 For this project I wanted to show you a little bit of my bohemian side by creating glittery feather ornaments. These are so much fun to do and they look great when they are completed. 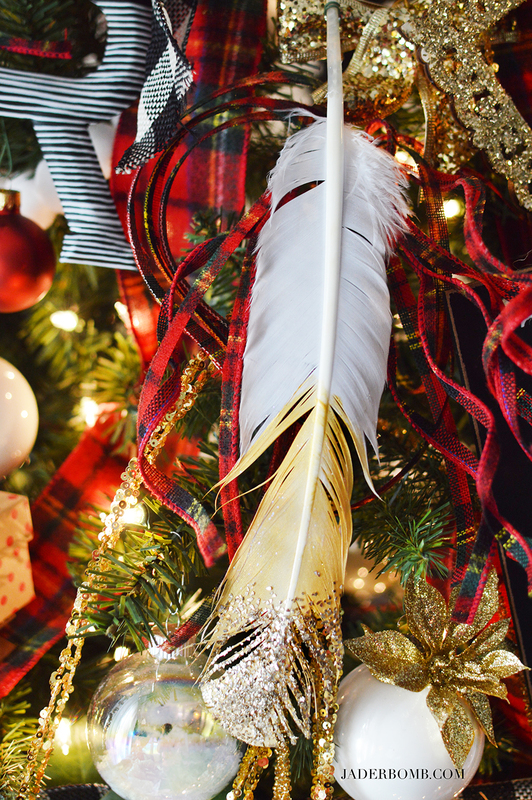 They add a softness to any tree and you could also turn them into a feather garland. The possibilities are endless yo! 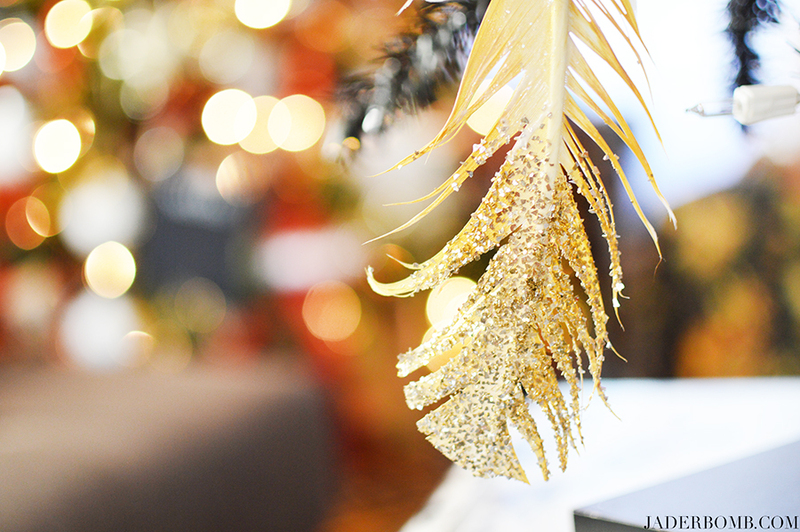 Also, think outside of the box… Christmas ornaments don’t always have to be BALLS! Don’t forget to add this hashtag when sharing my awesome post!!! 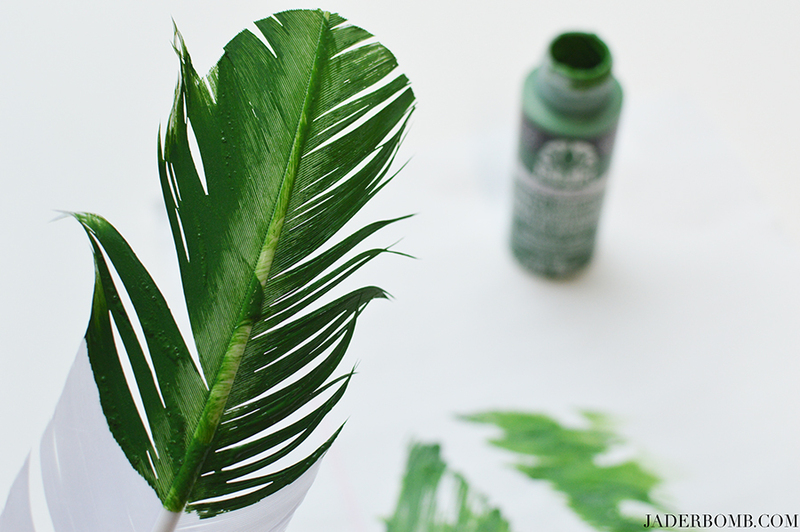 This project will be super easy for you if you use the right products! 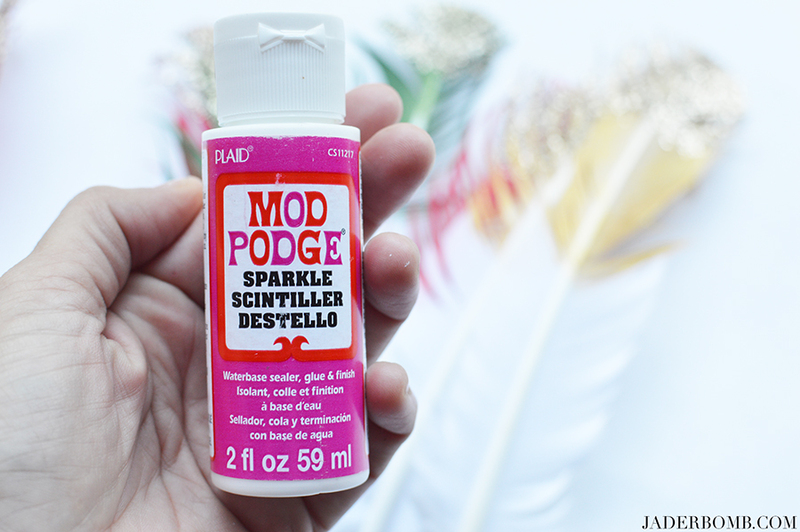 Today I will be using FolkArt Muli Surface Paint and Mod Podge Sparkle. 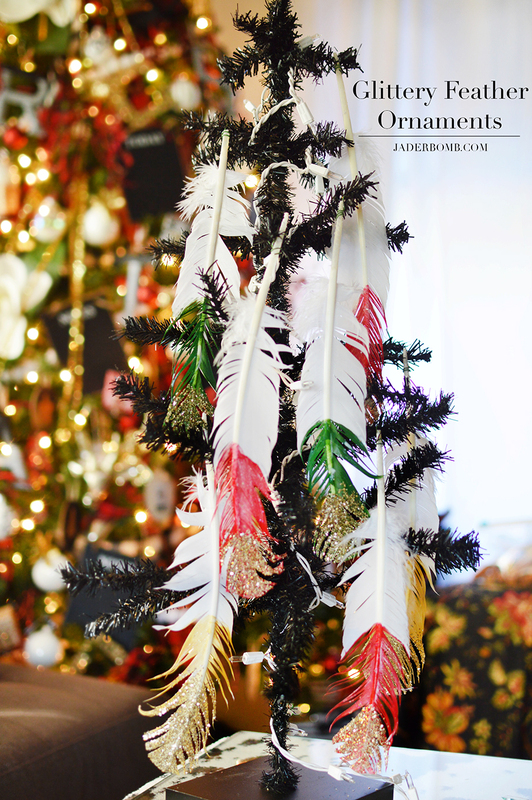 Folk Art has a large variety of colors so I am sure you will find the right ones for your Christmas decor! 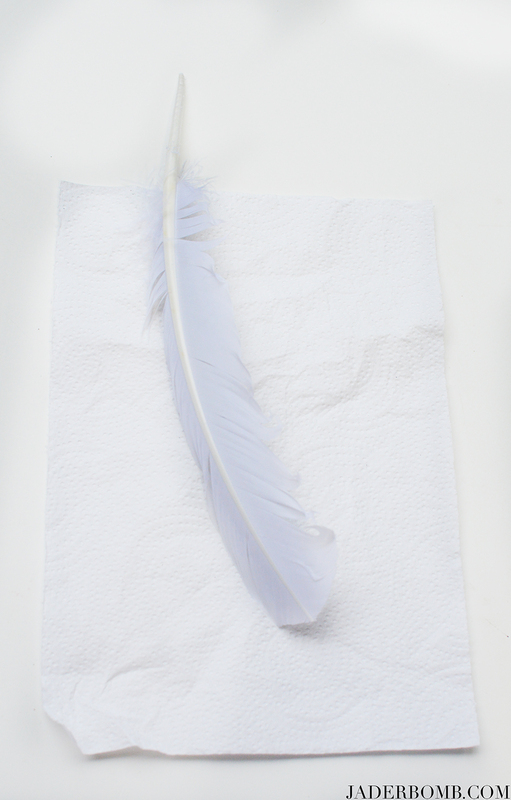 Step 1: Place your white feather on a clean paper towel. 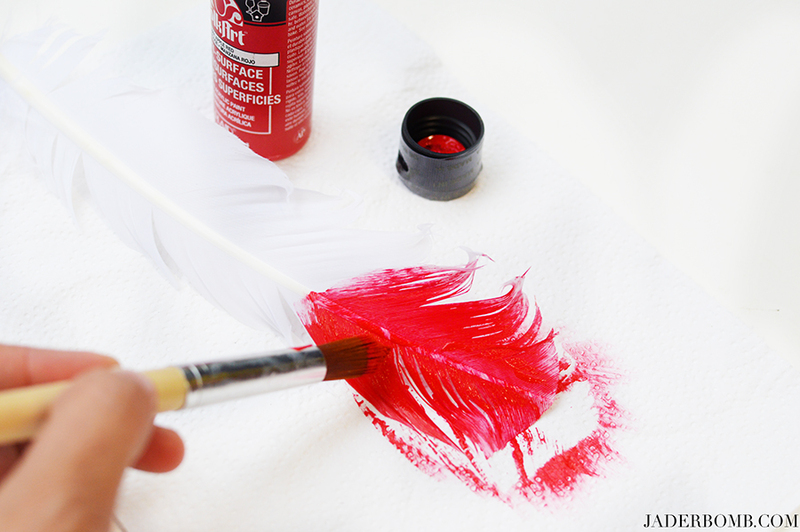 Step 2: Paint the bottom portion of your feather with FolkArt paint. 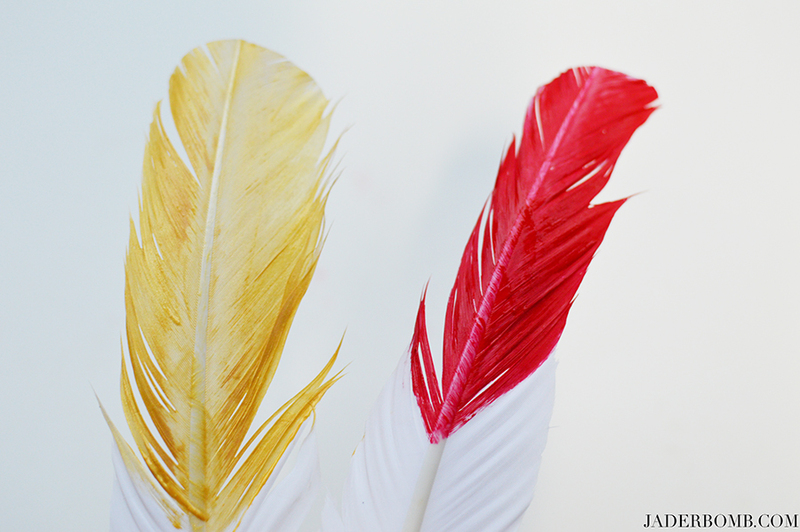 Do multiple feathers with different colors. You always want variety! 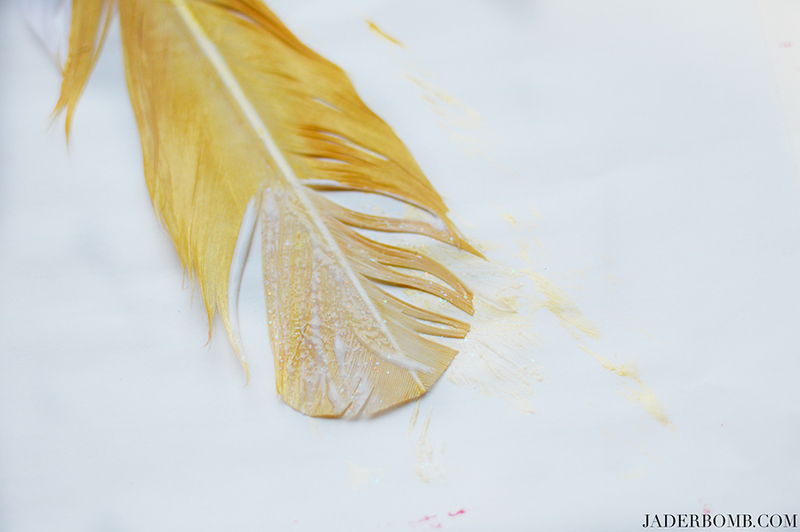 Step 3: Grab your Mod Podge Sparkle because we are about to go cray cray on these feathers! Step 4: Add a generous amount of Mod Podge on the bottom portion of the painted section. Crafters everywhere entrust their most treasured decoupage creations to Mod Podge®, the number one, all-in-one glue, sealer and finish! The ultimate in convenience, Mod Podge has been loved by crafters of all ages for its flexibility, versatility and supreme ease of use since 1967. Best of all, it’s waterbase, making clean-up a snap. 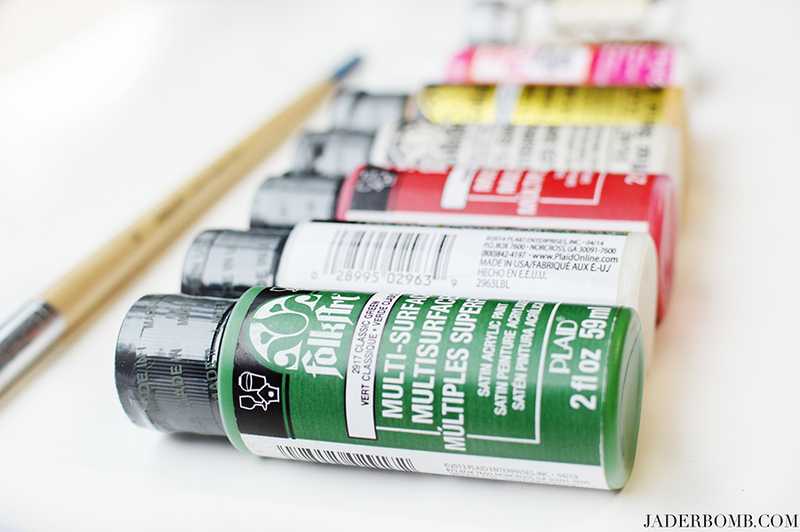 It’s non-toxic, too—perfect for young crafters. 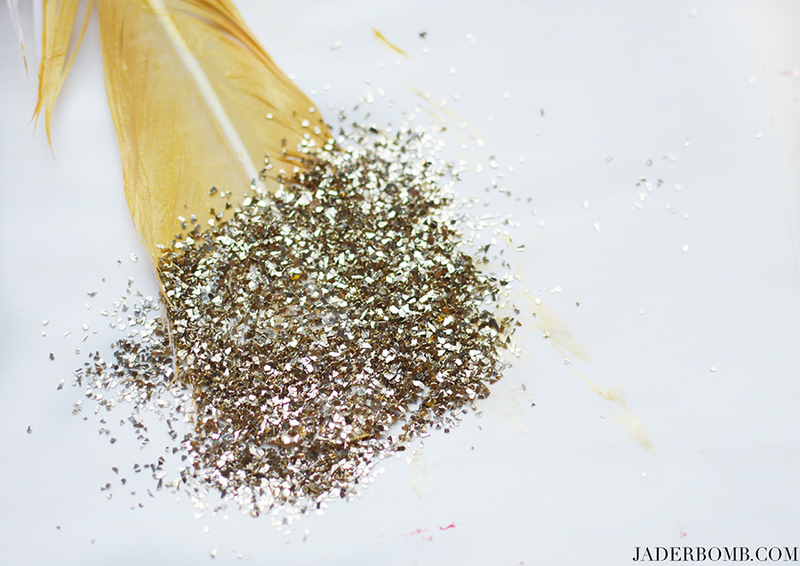 Step 5: Sprinkle your glass glitter immediately after you apply the Mod Podge. 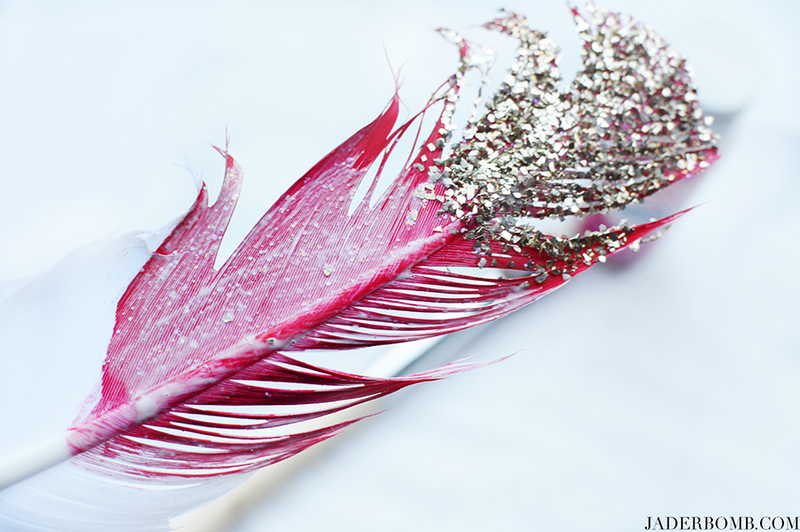 I suggest placing the feather at this point under a sheet of paper so you can easily pour the left over glitter back into the bottle. SHAZAM! How beautiful are these! Step 6: After your glitter section is dry apply a nice layer of Mod Podge Sparkle over the entire painted section, also over the glitter. 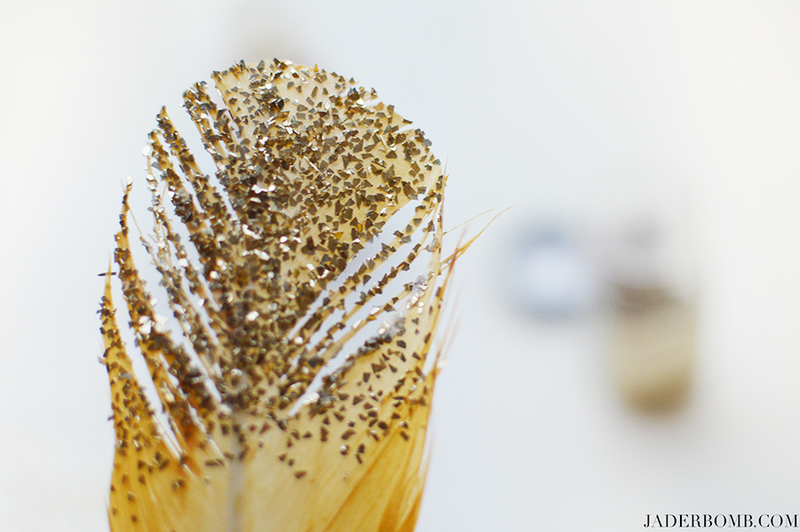 We want to seal all this awesomeness onto the feather. 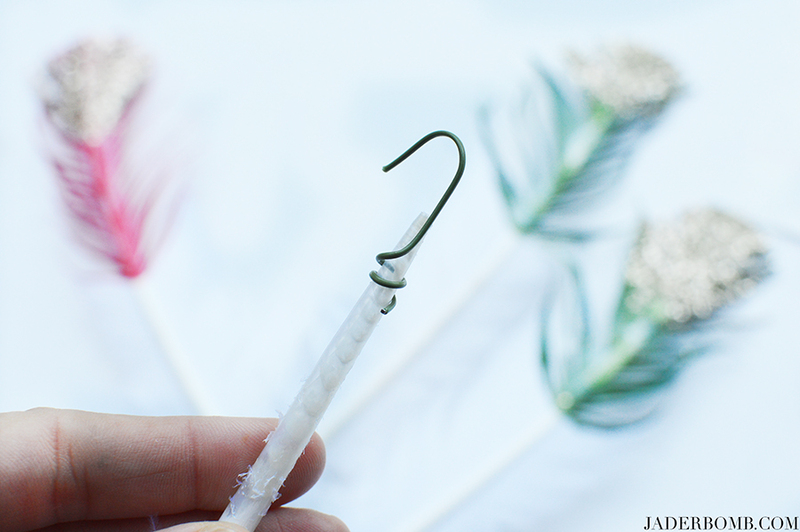 Step 7: Take a normal Christmas hook and straighten up on end, then wrap it around the bottom of the feather. Frankly I think they look so cool like this. You could also use ribbon for this part or cool wire! 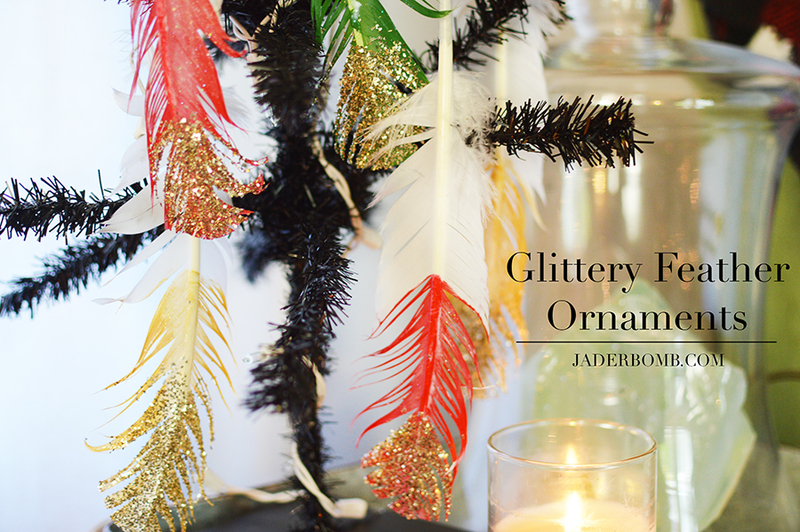 And just like that you have amazing glittery feather ornaments. I think I will make a ton more and make cute garlands for my house. Whatcha think! What colors will YOU USE? 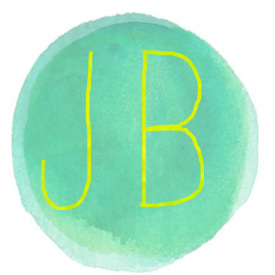 Learn more about Plaid Crafts on social media! Trust me you need to stalk them, hehe!